Are Business Cards Still Useful In Modern Networking? With so many businesses almost fully transitioned online, some people may think having business cards is an outdated concept and a waste of a marketing budget, but that’s not at all true. Business cards are still used in this day and age and they remain a useful and practical essential for you and your company, perhaps more so now than they ever did before. Many people aren’t all that great at remembering names and faces when it comes to meeting new people. This is why having a business card could be helpful in making yourself more memorable. By offering a business card, you link your business to your person and remind people of whom you are or and what you can provide. Another purpose of a business card is to briefly advertise what you do for a living but it is also a physical souvenir for someone who has just met you. It shows them that you are a professional and are very serious about what you do. 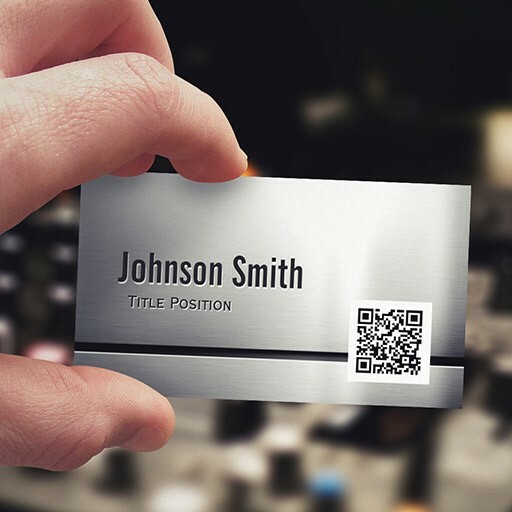 Even in the age of smartphones and online business directories, a physical business card provides a convenient way for potential clients or other business owners to connect with you in the future. When you meet someone for the first time at a business networking event, you want to make a good first and last impression, but that impression also needs to be meaningful. It’s one thing to simply be remembered and it’s another to exchange essential details. Looking down on your phone screen to note what they do and how to reach them could break the connection you’re working to establish. You could also be seen as being unprepared or even rude for focusing on your phone and breaking eye contact, and that’s the last impression you would like to leave anyone with. A business card is a quick and personal way to exchange information in an age when screens can often detach us from face-to-face interactions. Modern business cards are not the boring rectangular standard that they once were. They can come in interesting and functional designs that attract the eye and can further illustrate what you do. Let’s say that you work for a mil spec fastener company and you are a flat washer and spacer manufacturer, your business card could be the typical rectangle shape with your name, title, email, phone number, company address, etc., or it could have all the information on it in the shape of a flat washer, complete with metallic embossing. Imagine how much more of an impact you could make if you show what you sell literally on your business card. If someone needs washers and spacers, odds are they will associate your name and company with their need, all because you’ve utilized a business card in an effective way. While it’s important to find the right balance of style and substance, so your information is still accessible, a modern business card can be a highly effective marketing and networking tool. Before you decide to forgo this once-ubiquitous business essential, take a look at what’s available with current design resources. You might be surprised how memorable you can be, even during the briefest of networking opportunities.